Today has been a big day for me. If you follow my social media, you might’ve seen that I became a homeowner this morning. I have the keys, and I’m excited to share more with you about that soon. But there’s other big news to share. 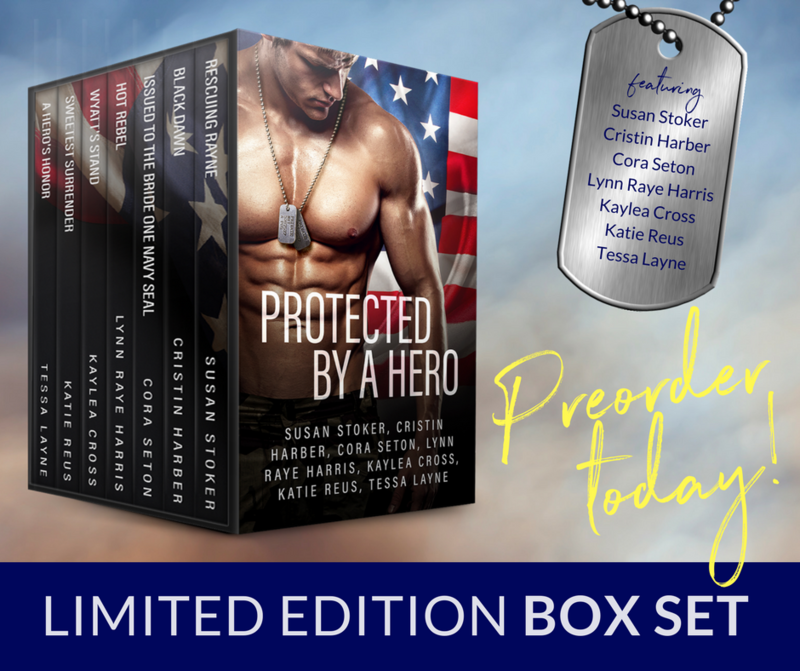 I have partnered with a few of my favorite authors for a military romance and romantic suspense box set! It’s available for a limited time only! Featuring bestselling authors Susan Stoker, Cora Seton, Lynn Raye Harris, Kaylea Cross, Katie Reus, Tessa Layne, and me! Seven books are included, and it’s on pre-order at a steep discount of $0.99. My contribution alone normally retails at $4.99. This is a steal! Rescuing Rayne, by Susan Stoker – A passionate encounter with a Delta Force soldier will change Rayne’s life forever. Black Dawn, by Cristin Harber – Parker Black shouldn’t feel what he does for his buddy’s girl, but now she’s in danger, he’ll do what it takes to save her. 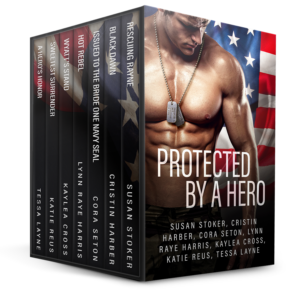 Issued to the Bride One Navy SEAL, by Cora Seton – Brian Lake’s facing his toughest assignment yet: marry a stranger in order to save his military career. HOT Rebel, by Lynn Raye Harris – A rogue sniper, a mission gone bust. He doesn’t have much time to figure out if the woman he wants is his best ally or his worst enemy. Wyatt’s Stand, by Kaylea Cross – A wounded warrior loses the home he wants, but he might just have fund the woman he needs. Sweetest Surrender, by Katie Reus – A woman on the run. A man determined to save her. He’ll do whatever it takes to protect his Angel. A Hero’s Honor, by Tessa Layne – Police Chief Travis Kincaid has rules, but the woman he’s after is determined to break them.